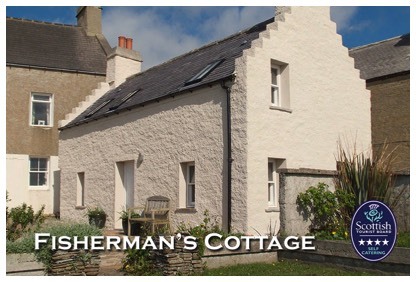 Orkney Escapes offers two adjacent self catering holiday properties, a Fisherman's Cottage and a Merchant's House on Stromness waterfront with communal stone built pier garden and quay. Stunning views over Stromness harbour and Scapa Flow. 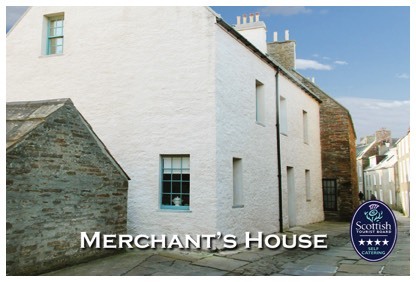 Individually styled with relaxed Orkney character and many original features, perfectly situated within a stroll away from shops selling local produce, studio galleries, cafes and pubs, golf course, access to cliff-top walks and beaches, bus connections, harbour, Northlink ferry terminal, Hoy ferry and the nationally acclaimed Pier Arts Centre.